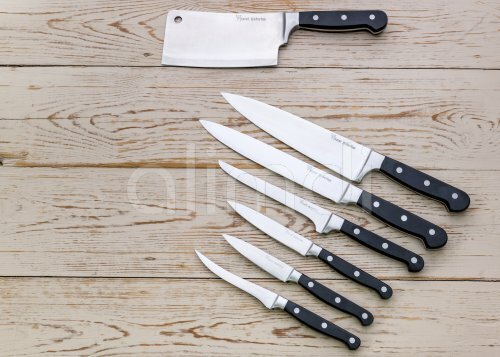 An assortment of various kitchen knives on a wooden background. You want to get a quote? Please send us a request and let us know the details of the intended use please.